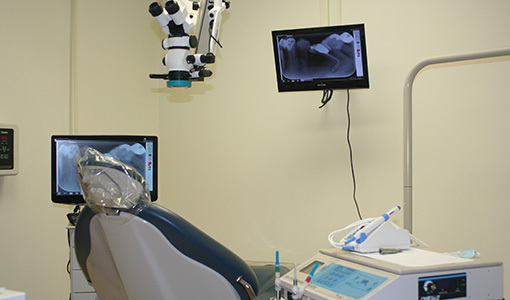 Dr. Hugh specializes in providing endodontic care in a comfortable and compassionate manner. He utilizes all of the newest technology and techniques to achieve predictable results. His office takes great care to assure every patient's unique needs are met. Please call or email our office and will be glad to assist you. Dr. Hugh is from Fairchance, Pennsylvania. He received his dental degree from West Virginia University School of Dentistry in 1996. Following dental school, Dr. Hugh served in the Air Force. He completed an Advanced Education in General Dentistry residency program in 1997. He practiced general dentistry in the Air Force from 1997-2000. 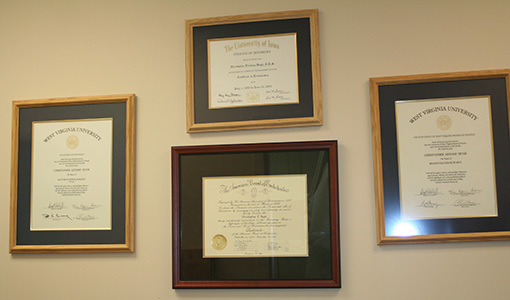 Dr. Hugh earned his endodontic certificate in 2002 from the University of Iowa School of Dentistry. From 2002-2004 he was the chairman of the endodontic department at Travis Air Force Base, CA. From June 2005 - July 2011 Dr. Hugh was a partner in Valley Endodontic Associates. 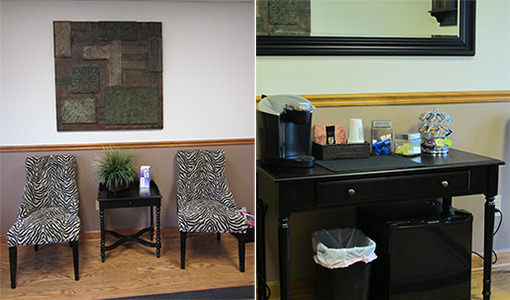 Since July 2011, Dr. Hugh has a solo practice limited to endodontics in Huntington, WV. Dr. Hugh is a diplomate of the American Board of Endodontics since 2005. He is a member of the American Dental Association, the American Association of Endodontics, and the College of Diplomates of the American Board of Endodontics. He also volunteers at the West Virginia University School of Dentistry Department of Endodontics. 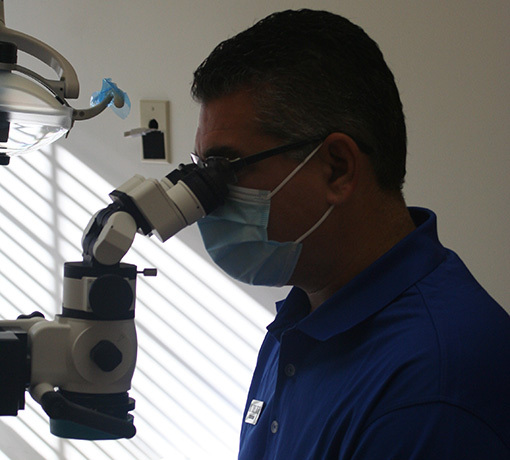 Dr. Hugh prides himself on quality endodontic care for his patients. His expert clinical skills and knowledge of the latest endodontic technology are complemented by his warm caring approach for his patients. Dr. Hugh has been married to his wife, Tammy, since 1993. They have 2 children, Nathaniel and Abigail. In his spare time Dr. Hugh enjoys spending time with his family outdoors golfing and skiing. What can I say other than AAA+++ in every way. I have neglected my teeth for too long due to the pain caused by dental visits. This root canal was the first time I have ever been to a dentist with NO PAIN. No pain during or after the procedure. Now I am psyched that I can go get all my dental work and get my dental health back to where it should be. Oh, almost forgot...The assistant also rocked! It was like watching a symphony of instruments being passed without a word. Circus jugglers are not as entertaining. Jerry and I just want to say a big "thank you" to Dr. Hugh and all of the staff at his office! We have never been treated so kindly and compassionately! You all went above and beyond to ease Jerry's pain and treat him so quickly...we can't thank you enough! We will recommend you to everyone! Thanks Dr. Hugh...you're the best!